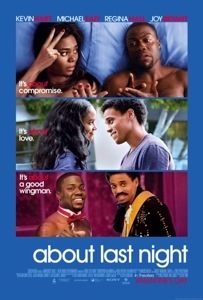 Free screening in Harlem of About Last Night-January 9, download tickets here | HarlemGal Inc. This entry was posted in 125th Street, celebrities, film, Frederick Douglass Circle, Free!, Harlem, Harlem bloggers, Harlem blogs, HarlemGal and tagged About Last Night, Entertainment, film, Harlem, Harlem bloggers, Harlem Blogs, Joy Bryant, Kevin Hart, Magic Johnson Theater, Michael Ealy, Regina Hall, Things to do in Harlem. Bookmark the permalink. Thanks, I think it may be booked or I’m not able to link. Cheers! The link has been replaced. Try again!